Delivers accurate neutralisation to seal the form result. Ensures long-lasting curl, wave or style support. 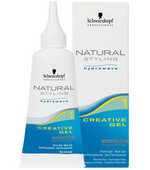 Neutraliser for Classic 0-1, Glamour Wave 0-1, Creative Gel 1 und Creative Fluid 1.